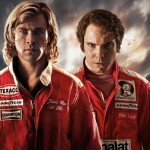 “Rush” by Oscar-winner Ron Howard has just received a Golden Globe nomination for “Best Picture”. In addition, Daniel Brühl has been nominated as “Best Supporting Actor” for his portrayal of Niki Lauda. action concept coproduced the movie and was responsible for all production in Germany. This nomination is not the first one for “RUSH”: yesterday the Screen Actors Guild nominated the film in two categories: first for “Outstanding Action Performance” and then again with Daniel Brühl for “Best Supporting Actor”.